Microsoft recently announced a first-of-its-kind Cloud experience that brings together cross-platform technologies, services and tools, enabling developers and businesses to innovate at startup speed via a new Microsoft Azure Preview Portal. 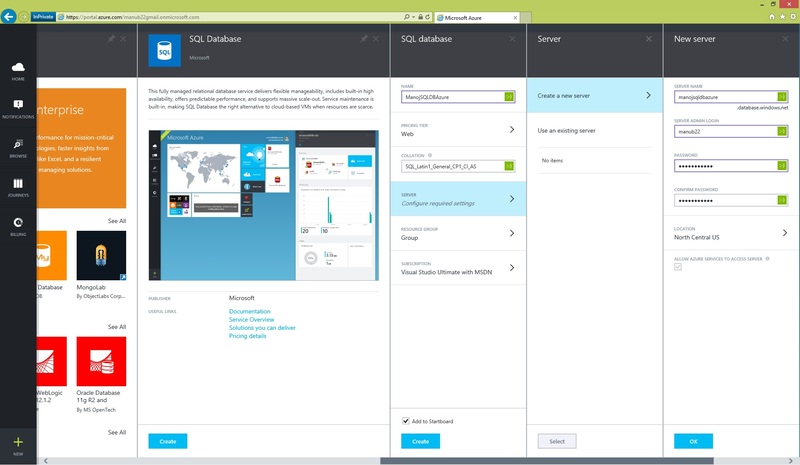 Windows AZURE is now Microsoft Azure! 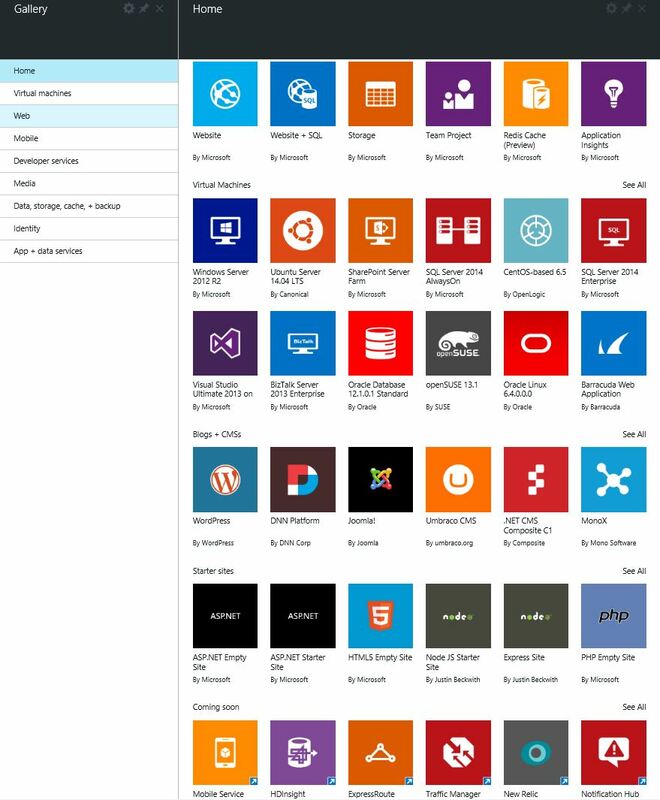 The new “Microsoft Azure” Portal provides a fully integrated experience that will enable customers to develop and manage an application in one place, using the platform and tools of their choice. 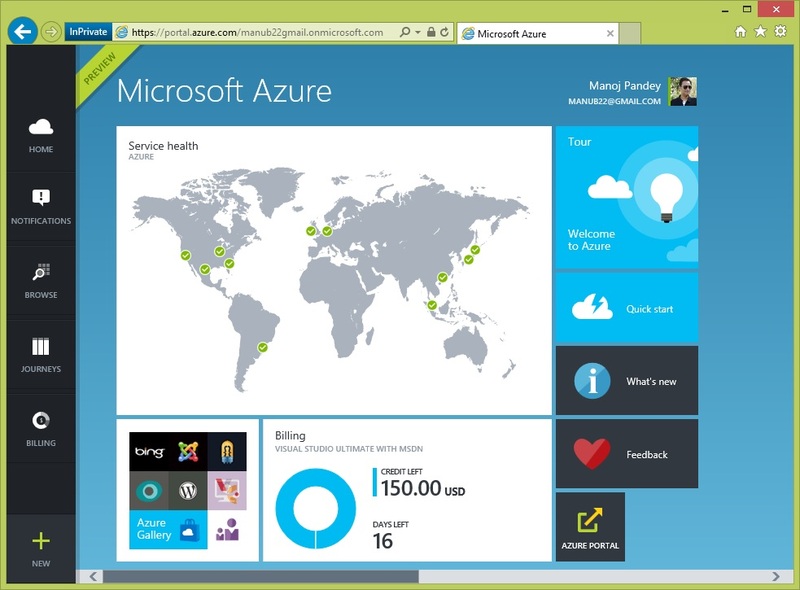 The new portal combines all the components of a cloud application into a single development and management experience. … for more info visit Microsoft Press, [link]. Otherwise in an on-Premise environment or with any other vendor solution this would take days to setup a new Server (Hardware) with Windows Server OS, SharePoint, SQL Server, etc. installed and get things configured. 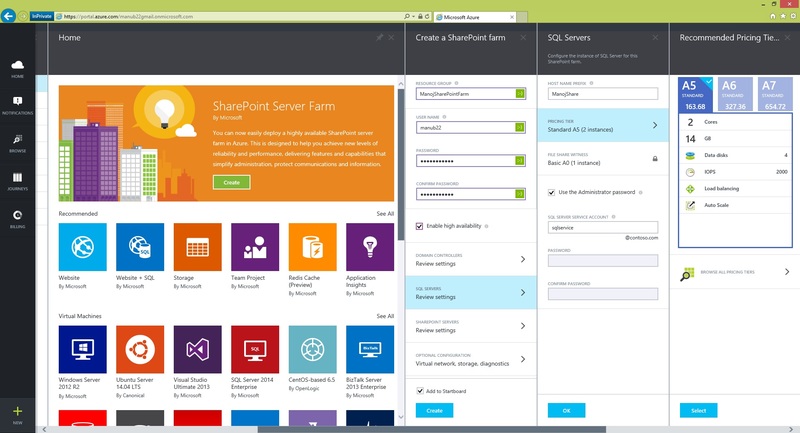 The new instance will be created in seconds and you can access the Instance Create Databases, Tables, Views, other DB Objects and easily Query them via SSMS. I’ll be exploring the new Portal as per my needs and post my experiences in coming posts, so stay tuned!